The concept of rights based ethics is that there are some rights, both positive and negative, that all humans have based only on the fact that they are human. These rights can be natural or conventional. That is, natural rights are those that are moral while conventional are those created by humans and reflect society's values. The United States is founded upon a Rights Based Ethics System in which citizens are believed to have certain unalienable rights. John Locke was one of the primary supporters of this type of system as it takes the perspective of what the ideal world looks like and creates a rights system based upon those ideas. 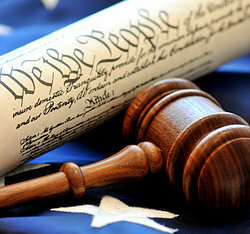 The United States of America's Bill of Rights is a document that epitomizes the type of rights that are embraced by Rights Based Ethical Systems. The Univeral Declaration of Human Rights is another document that embraces and exhibits the values of a Rights Based Ethical System. Beauchamp and Childress, authors and ethical theorists, have defined the term "right" to be a "justified claim that individuals and groups can make upon other individuals or upon society; to have a right is to be in a position to determine by one's choices, what others should do or need not do." Rights can be legal in nature, or pertain to human rights or moral rights. The opposite of rights based ethics are utilitarian ethics. Utilitarian ethics are based on the maximization of "good outcomes" and minimizations of "bad outcomes." Now these examples help to show exactly what a rights based ethics system is like. "Examples of Rights Based Ethics." YourDictionary, n.d. Web. 23 April 2019. <https://examples.yourdictionary.com/examples-of-rights-based-ethics.html>. Code of Ethics ExamplesExamples of Human RightsMores ExamplesExamples of Unethical BehaviorWhat's the Difference Between Ethics, Morals and Values?